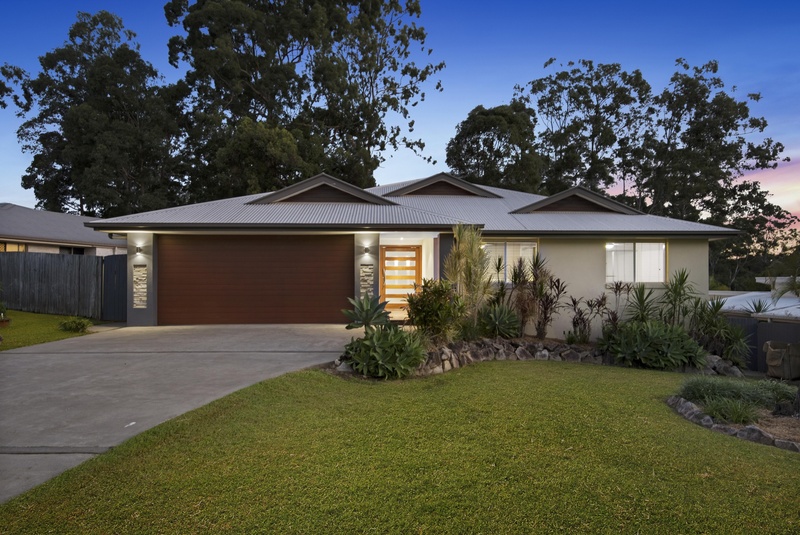 Located in the much sought after 'Timberdale Estate', Buderim, this beautifully appointed home on a large 700sqm, fully fenced, landscaped block has everything a family friendly residence can offer and much more. The property provides the perfect blend of an entertainers delight with your own secluded private haven and affordable family residence. 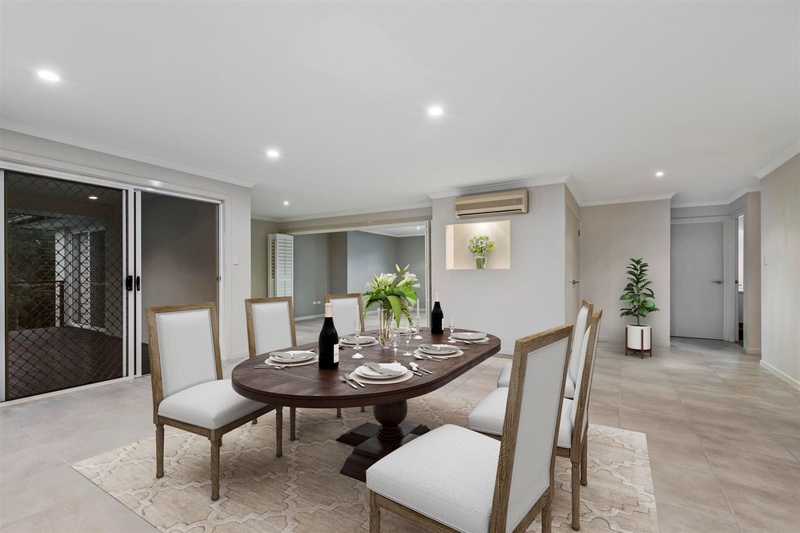 Functional, open living, dining and kitchen areas are designed for entertaining and family events. 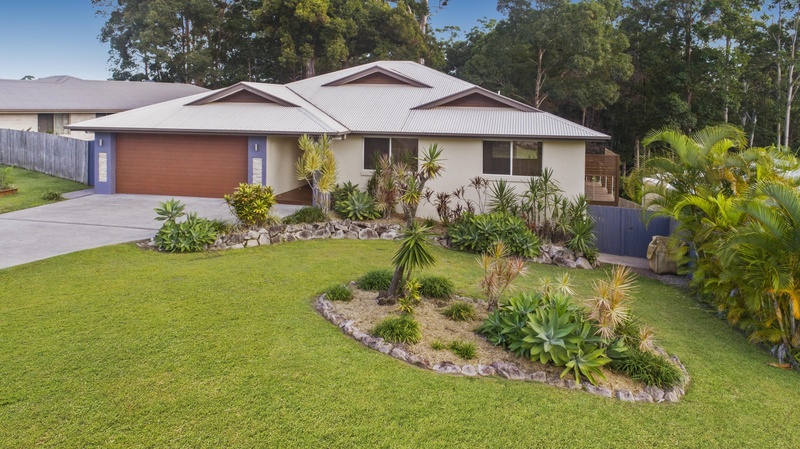 This property is located within the exclusive Buderim Mountain School Zone and is only 5 minutes drive to all other local schools. - Modern, bright, rendered brick home with good sized open living area and decks suitable for the family and entertaining. 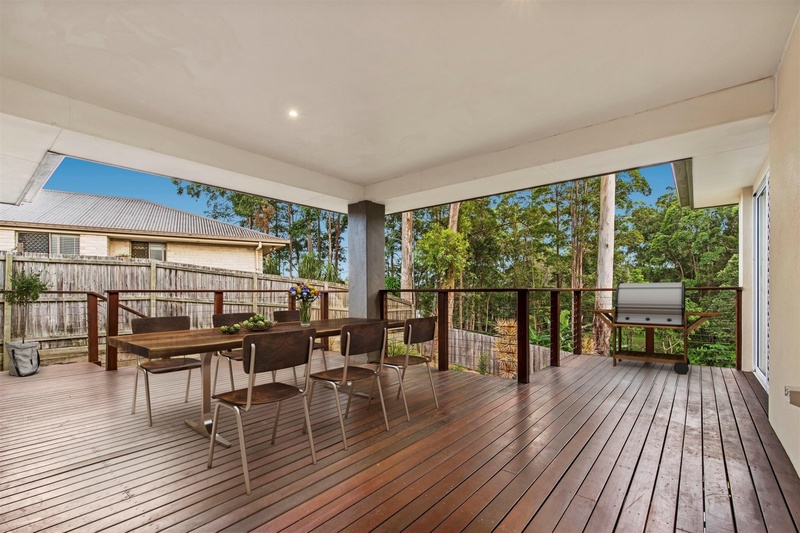 - Covered timber deck overlooks the beautiful bushland where kangaroos and birdlife are regulars. - Fully fenced with landscaped gardens for security and privacy. 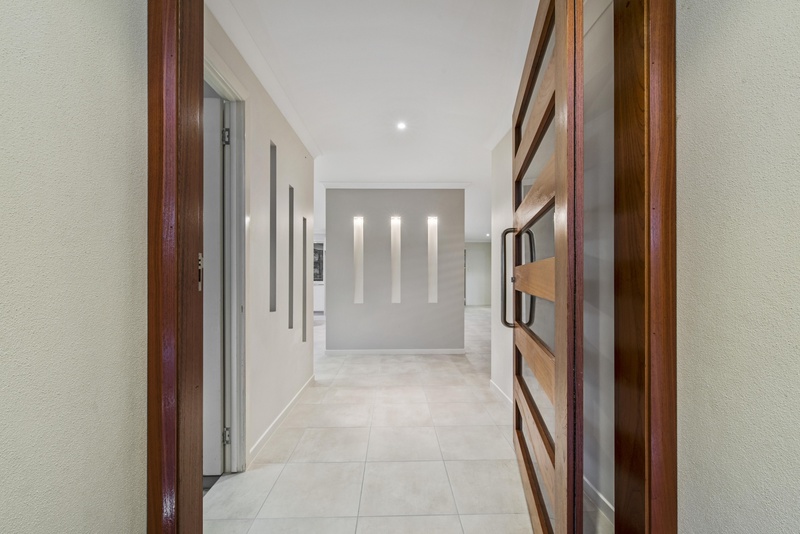 - Two lockable gated entrances on either side of the house. - Concreted paths surround the home. - Colourbond iron roof with sat dish and foxtel connection. - 'Leafguard' colourbond steel gutter guards cover the entire gutters on the roof. - Double lockup garage with insulated wall panels to protect from car door knocks. - Well designed spacious kitchen overlooks the back deck and surrounds. 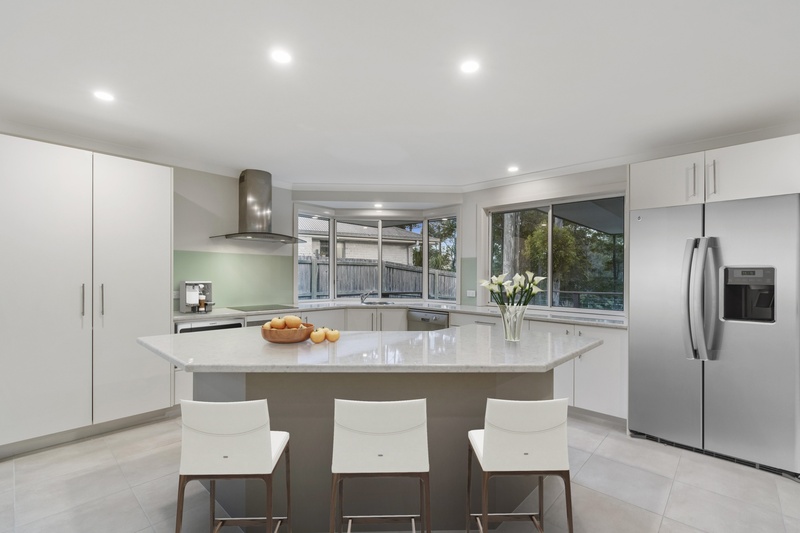 It features an island bench, a brand new electric stainless steel stove/oven with a stainless steel rangehood and stainless steel dishwasher. It has loads of storage space including a large pantry. - Split cycle air-conditioning in the living area. - New carpet in all 4 bedrooms. 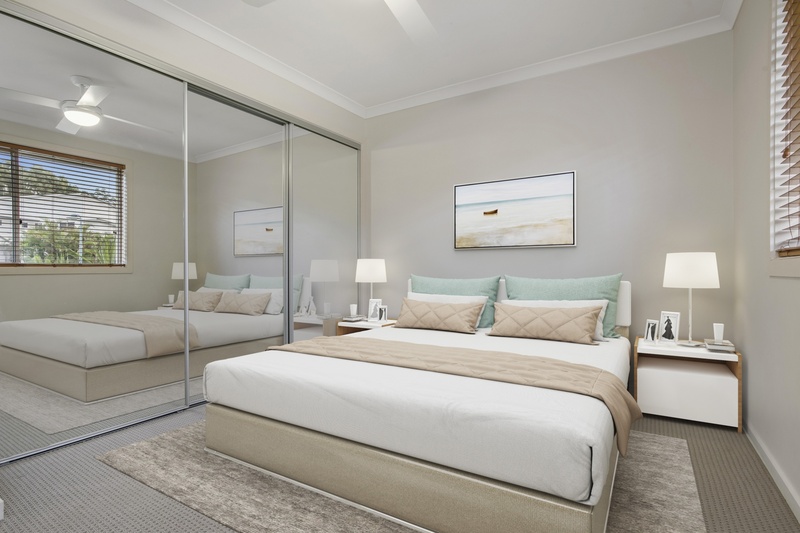 - All bedrooms have large built-in wardrobes with mirrors, shelving, draws and hanging space, Intercept 4 blade ceiling fans with inbuilt lights and timber venetian blinds. 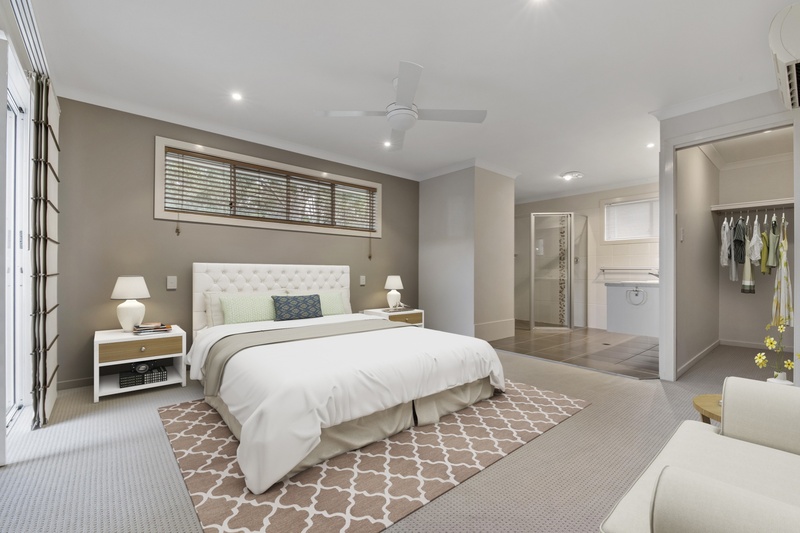 - The large master bedroom has a large walk-in robe, ensuite, upmarket canvas blinds, split cycle air-conditioning, Intercept 4 blade fan with light and a wall mounted bracket for a LCD TV. It also has external/internal access to the rear deck from the master bedroom. - Large rumpus/media room has two stylish, modern concertina wall divides. 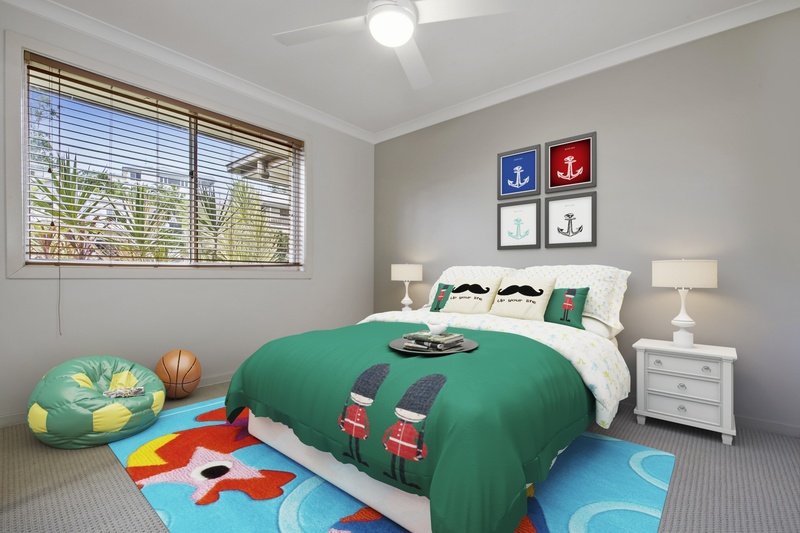 Also has timber blinds and Intercept 4 blade ceiling fan with inbuilt light. - Room for a 5000L fresh water tank. - Lights along front entrance deck. - 2 x large storage areas. (1) Large lockable storage room under the house, big enough for a Man Cave! (2) Lockable storage area under the back deck, suitable for mower, whipper sniper, etc. IF ALL THIS APPEALS TO YOU THEN YOU MUST INSPECT IMMEDIATELY! Montesori International College – 4 min. drive. 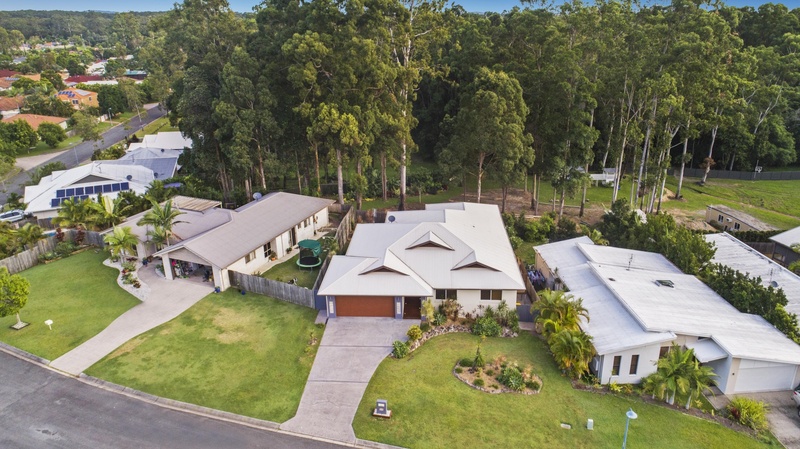 This property at Buderim is located in one of the best Private and Public School precedents on the Sunshine Coast, from early learning, day care, Primary, Secondary through to University. Sunshine Coast University – 7 min. drive. Mountain Creek Shopping Centre and Bus Stop (Woolworths, Service Station, Brumby's, Pharmacy, Bottle Shop, etc.) – 3 min. drive and no traffic lights. 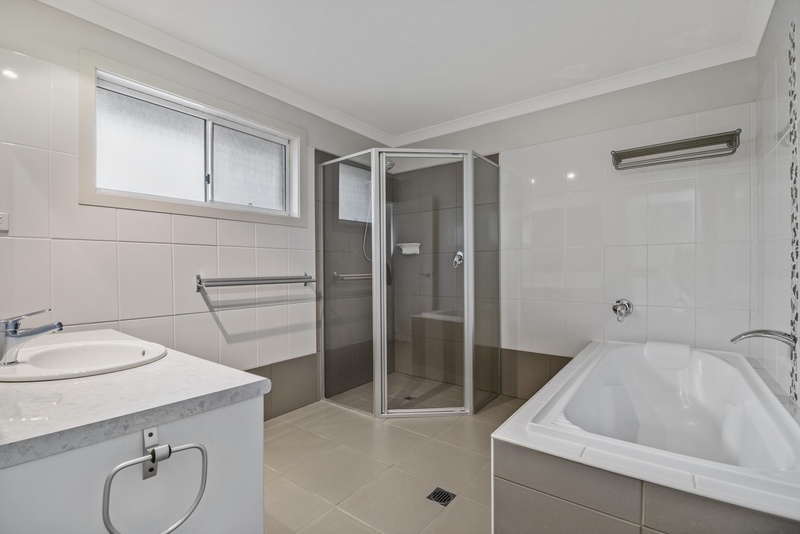 Maroochydore CBD – 12 min. drive. Sunshine Coast University Hospital – 9 min. drive. Alex Beach and Surf Club – 8min. drive. 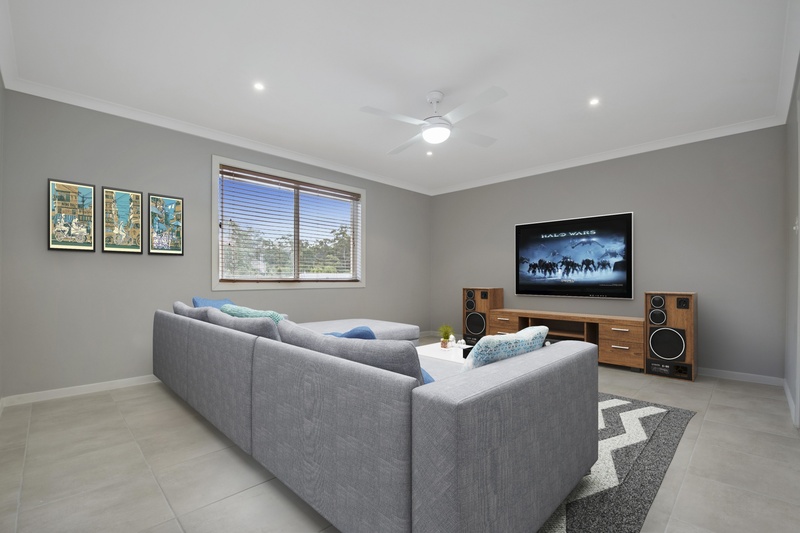 Australian Homes For Sale By Owner provides free property advertising for Australian home owners selling a home privately. If you are selling your home, you can list your home for sale for free. 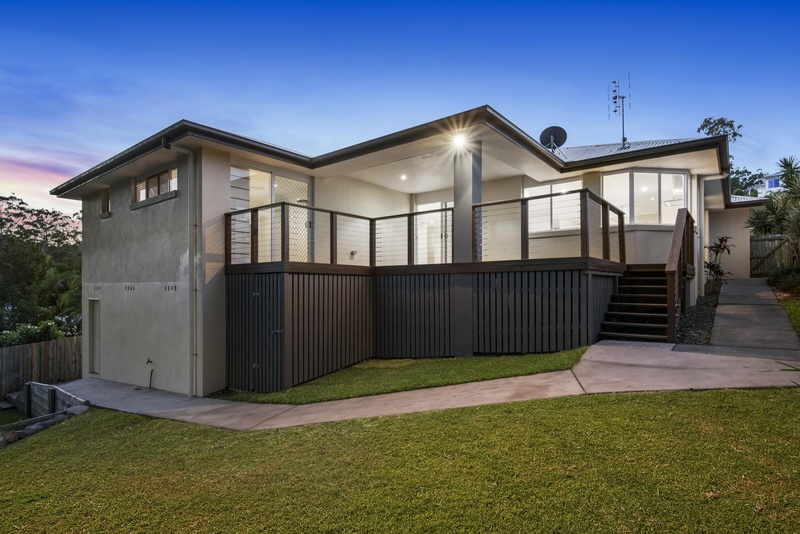 If you would like support to sell your home yourself and want to get additional exposure on the big websites, you can list your house for sale on realestate.com.au and other leading realestate sites without paying agent commission via our partner site Agent in a Box. Selling House By Owner? 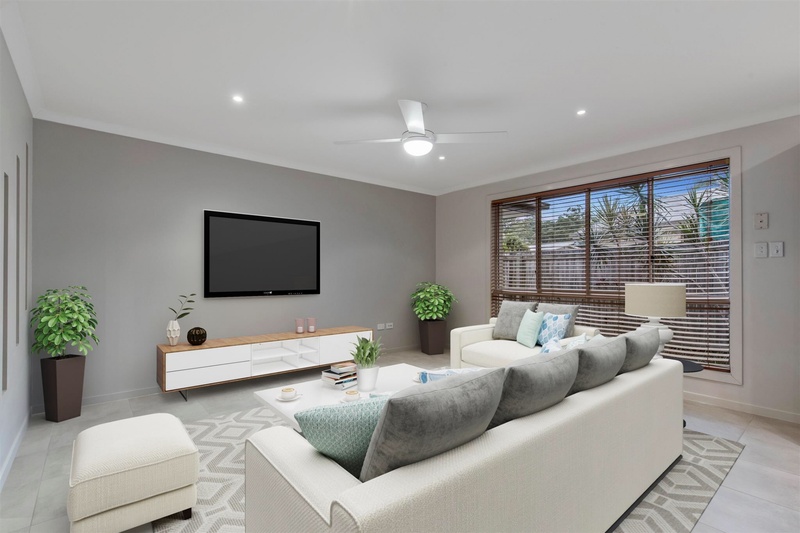 Australian Homes For Sale is managed by Agent in a Box to help Australian home-owners effectively market their properties for sale on-line without using a traditional real estate agent. Agent in a Box will show you how to sell your property privately without paying commission. Australian Homes For Sale also provide free social media advertising to help you sell house online, Australia wide.